You may recall the article on this site about Gravitar, a 1980s arcade game that mixed Lunar Lander with a relatively advanced physics and gravity system. Solar Jetman pushes that game's concepts to a more interesting level. 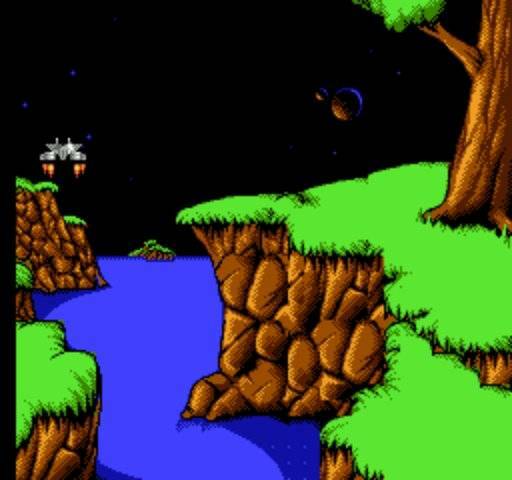 It has 12 planets to explore through caverns along with one hidden planet. Hidden across the planets are upgrades to your pods (such as thrusters and shields), fuel for your mothership to leave, and gems/treasure pods for money. 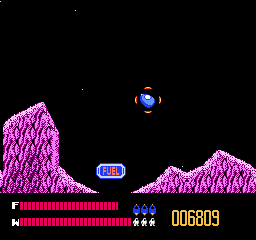 This game -- unlike Gravitar -- consists of different gravity on each world. There is inertia but no drag so the space simulation is a bit more accurate. If you thrust one way you are pretty much going to keep going until you reverse thrust. 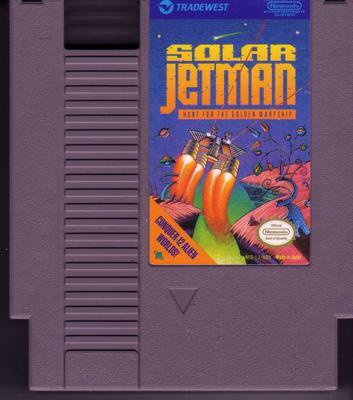 Solar Jetman is more difficult than most NES games or games in the gravity genre, and this is exacerbated by a horribly long password system. Despite the love I had of this game all my friends (as usual) didn't care because of its obscure nature. The game was ported to Commodore 64, Amiga and Atari ST. The NES version is the only one I've played. Something tells me it might be a bit more difficult with the controllers of the other systems. I discovered early this year that Solar Jetman is in fact the third in a series of Jetman games. Jetpac (Spectrum, BBC Micro, Commodore VIC-20) was released in 1983, Lunar Jetman (Spectrum, BBC Micro) in 1983, Solar Jetman (NES) in 1990, and Jetpac Refuelled (XBLA) in 2007. Having played them all except Refuelled I advise avoiding the others. They don't have the charm that Solar does as they seem to be clones of other games in the marketplace. If you want a real gaming challenge on the NES, and one you can use as a reference for a game no one knows existed, here you go. Play it! How far can you get? I've made it to the 5th planet. Now if you'll excuse me I think I'm going to pull this off the shelf and play! 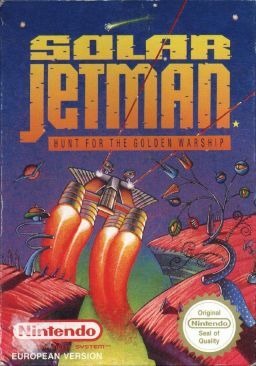 Have you heard of or played Solar Jetman or any of the other Jetman games? What did you think? Let us know your thoughts and post your best scores in the comments.